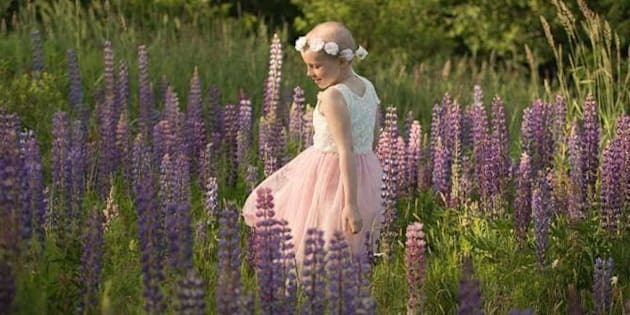 She was diagnosed with neuroblastoma at an early age and started a lemonade stand. A Facebook page called "Happiness for Nevaeh'' had received more than 5,300 comments by early Tuesday and been shared about 7,700 times. ST. JOHN'S, N.L. — Nevaeh Denine, a young girl in St. John's, N.L., who started a lemonade stand to help raise money for children with cancer has died. Nevaeh, who turned nine on July 27, was diagnosed with neuroblastoma at an early age and started a lemonade stand to raise money to help children diagnosed with the disease. She raised tens of thousands of dollars for the cause. Thousands of messages of condolences have been posted on social media to honour the girl. "Our thoughts and prayers are with a sweet little girl who taught us all about courage, caring and love; an inspiration to us all,'' wrote St. John's Mayor Danny Breen on his Twitter account. "Our hearts are broken,'' read a tweet posted by the Royal Newfoundland Constabulary. For more information on Nevaeh's Lemonade Stand and how you can help the fundraising effort, check out the event's page on Facebook.